A photographer who snapped what could be the world’s only girl hunting with a golden eagle says watching her work was an amazing sight. 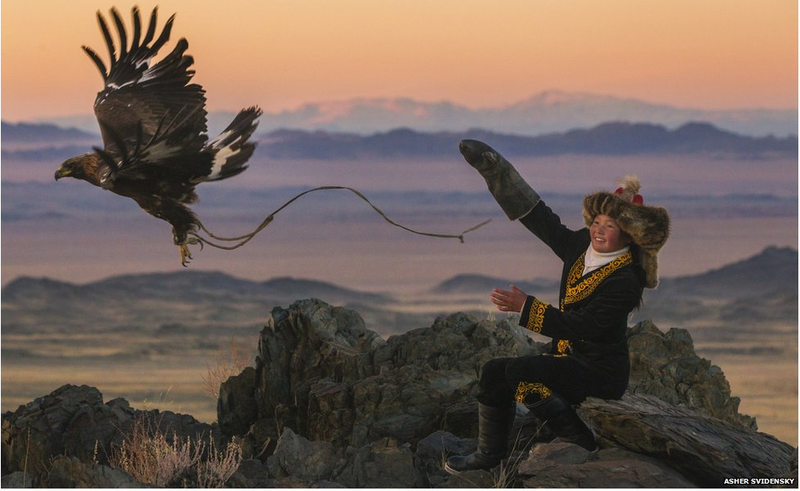 The Kazakhs of the Altai mountain range in western Mongolia are the only people that hunt with golden eagles, and today there are around 400 practising falconers. Ashol-Pan, the daughter of a particularly celebrated hunter, may well be the country’s only apprentice huntress.